Resuming Probable Cause & Your Rights: 5 Facts to Know (Pt. 1), below, we will continue discussing some important information to know about probable cause in criminal cases. Fact 2 – Police have to have probable cause to make arrests. Probable cause comes into play during arrests and police searches. 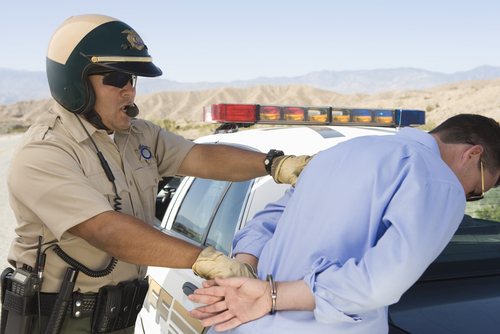 Here’s what you should know about probable cause in criminal cases. Contact us for the best defense. The specific elements or factors that constitute probable cause will change from case to case (depending, of course, on the details of a given case). When a person has been observed in public committing a felony offense, (s)he can be arrested and/or searched by police without a warrant (as being seen allegedly committing a felony can be sufficient probable cause). When arrested are made without a basis in probable cause, a defense lawyer can argue that the arrest was illegal and/or that any evidence obtained as a result of the illegal arrest should not be used against the accused. Fact 3 – Warrantless searches must be backed by articulable probable cause. In general, police officers must have warrants in order to search a person’s property when that person is a suspect in a criminal investigation. However, warrantless searches can also be legal when there is probable cause to suspect that a person and/or his property may have been involved in some criminal activity. A reasonable person would have to agree that there is sufficient evidence and/or facts available to believe that a crime has occurred and a search is necessary. Consenting to a police search can diffuse the need to prove probable cause. When there is reason to believe that there may be a threat to public safety and/or that evidence to a crime may be destroyed, it can be legal to conduct warrantless searches. The reasoning that led to the search in the first place (i.e., the probable cause) must be detailed in the police report associated with the incident. For some final important info about probable cause, be sure to check out the upcoming conclusion to this blog series! Regardless of whether you are facing criminal charges for the first time, have prior convictions and/or were on probation or parole at the time of the alleged crime, our trusted Denver and Boulder criminal defense attorney will work relentlessly to help you obtain the best possible outcome to your case. To talk about your best defense options and find out more about how we can help you, contact us by calling 303-280-1070 or by emailing us using the form at the top of this page.